The Bursar’s Office (sometimes referred to as the Cashier’s Office) is responsible for accepting and processing tuition and fees along with other miscellaneous fee payments. In addition to fee collections, the Bursar’s Office manages student and third-party invoicing, and the collection of outstanding amounts due to the College. The Bursar’s Office also processes refunds as a result of over-payments, class withdrawals, unit reductions and status changes. 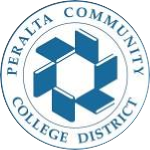 If you have received a letter stating that you owe Peralta outstanding fees please click the COTOP information (Chancellor’s Office Tax Offset Program) link below and visit COTOP FAQ. To apply for a fee refund, complete the Enrollment Refund Request Form and email to ktran@peralta.edu . Once the form is submitted, refund processing time is 4 to 6 weeks (after the last day to add classes) during peak periods, and 2 to 3 weeks during off -peak periods. You may choose to pay for parking on a daily basis, rather than purchasing a semester permit. The cost is $2.00 per day. The daily permits may be purchased from the ticket machines located in the parking lots. In addition to the daily parking permits, Laney College students must display a <span that hangs from the rear view mirror, with the numbered side facing outward. If the decal is not displayed while in the parking lot, the car will be cited.